Custom Calgary home builders offer advanced air filtering and purification systems to help you breathe easy during allergy season and enjoy clean indoor air all year long. While seasonal allergies can certainly be bothersome, low indoor air quality is a much bigger problem. Research has linked indoor air pollution with a whole host of serious diseases and health conditions, including chronic obstructive pulmonary disease (COPD), heart disease and reduced life expectancy. As one of the leading Calgary home builders, we at Fine Line Homes incorporate standard features into all our new builds to help protect your respiratory health. All our homes come standard with state-of-the-art air filtering systems that safely and effectively remove pollutants and impurities from your indoor air. Calgary Home Builders: What Are Indoor Air Pollutants? 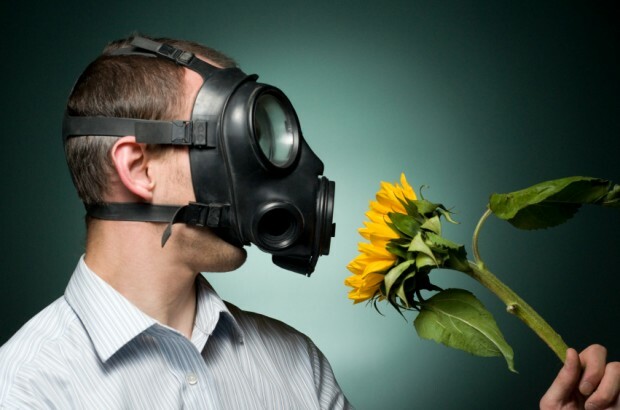 There are two main types of indoor air pollutants: particulate matter and gaseous pollutants. Particulate matter includes a wide range of tiny particles and microscopic organisms that are usually introduced to indoor air through environmental or lifestyle choices. Cigarette smoke, dust, pollen and pet dander are all examples of inorganic particulate matter. Bacteria, viruses, mold spores and dust mites are the most common types of organic particulates. Gaseous pollutants can be extremely dangerous. They are usually introduced to the home through combustion appliances that are not properly secured or ventilated. Carbon monoxide and radon gas are the two deadliest types of gaseous pollutants, though volatile organic compounds (VOCs) and secondhand smoke also qualify. Exposure to these types of pollutants can cause serious illness and, in extreme cases, death. Particle removal systems can be mechanical or electronic. In a mechanical appliance, particulate matter is physically trapped by the device’s filter, which can then be cleaned or changed for continuous purification. In electronic systems, particulate matter is drawn into the system, where it receives an electrical charge. The charged particles are then drawn to collectors via an opposite electrical charge, where they are trapped. Ion generators use a similar mode of action, except that the charged particles remain airborne, attaching themselves to walls, floors and furnishings to remove them from the air. The gas-phase air filter is the most effective type of gaseous pollutant removal system. These devices work by emitting vapours known as sorbents, which absorb gaseous pollutants. They can be used to purify air as well as eliminate odours. However, be cautious when using gas-phase air filters, as most models are only configured to eliminate one specific type of gaseous pollutant. You should always use carbon monoxide and radon detectors throughout your home, and inspect them semi-annually to make sure they’re functioning properly. Impurity destruction systems include UV light purifiers, which have been used in hospitals and healthcare clinics for decades. Ultraviolet light breaks down the chemical bonds that hold the bodies of microorganisms together, but note that they are only effective against organic pollutants. Use them in conjunction with a filtration system for inorganic particulate matter. UV light can also be used to zap gaseous pollutants as part of a type of system known as a photocatalytic oxidation cleaner (PCO). PCOs combine UV light with catalysts that turn dangerous vapours into harmless substances. Ozone generators are also found in some homes, but these are generally not recommended, as ozone is a known lung irritant. There’s little sense in removing pollutants only to introduce lung irritants, especially since alternatives are readily available. Fine Line Homes is among the leading Calgary home builders. Our motto is, “If you can dream it, we can build it.” All our homes are outfitted with state-of-the-art technologies and appliances that help you reduce energy consumption and enjoy better health. If you would like to learn more about our unique custom home construction process, please contact us at Fine Line Homes.